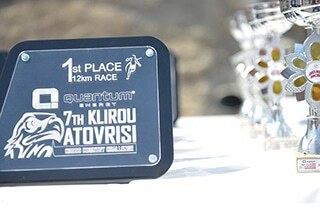 The EuroAsia Interconnector is the official EU project developer of the 2,000MW electricity interconnector between Israel, Cyprus Crete – Attica, Greece and Europe. 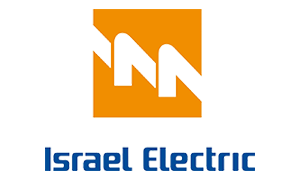 The EuroAsia Interconnector is a leading European Project of Common Interest (PCI) labelled as an EU “electricity highway” connecting the national electricity grids of Israel, Cyprus and Crete-Attica, Greece through a 1,518km subsea HVDC cable. The European Commission, with the support of the Cyprus Government and in agreement with the Greek Government, has appointed EuroAsia Interconnector Limited as the owner Project Promoter of EuroAsia Interconnector. 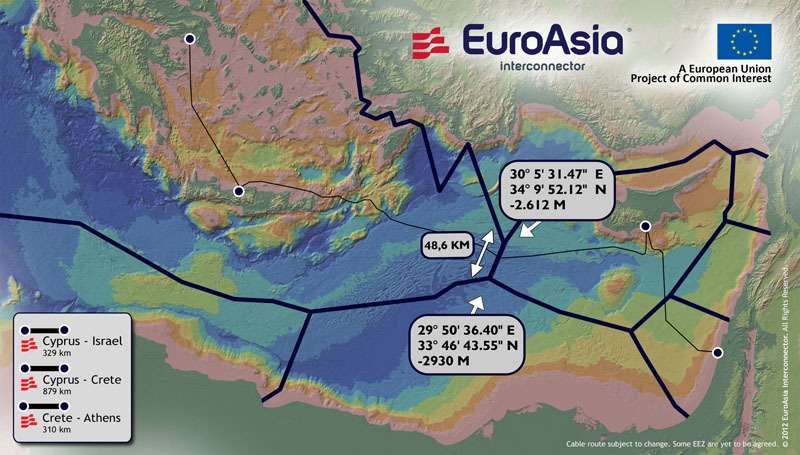 The EuroAsia Interconnector comprises the electricity interconnection between the grids of Israel, Cyprus and Crete-Attica, Greece (Europe) through a subsea DC cable and with HVDC onshore converter stations at each connection point, with a total capacity of 2000MW. The project is an energy highway bridging Asia and Europe, with a total length of 1518km. 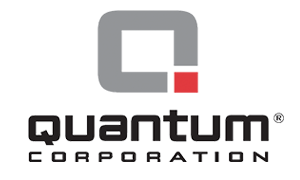 It creates a reliable alternative route for the transfer of electric energy to and from Europe. EuroAsia Interconnector creates an electricity highway from Israel-Cyprus-Crete-Attica, Greece (Europe) through which the European Union can securely be supplied with electricity produced by the gas reserves of Cyprus and Israel, as well as from the available Renewable Energy Sources (RES), contributing at the same time to the completion of the European Internal Market. The EuroAsia Interconnector ensures the security of energy supply of the three involved countries and of the EU system altogether, through the integration of the isolated small systems of Cyprus and Crete with the Israeli and European networks and the uninterrupted – multidirectional flow of energy. Provides significant socio-economic benefits in the range of 10 billion euros.